Join us for two yoga & hiking field trips! First though, on Friday night, we'll study the teachings and writings of historical and modern nature philosophers. You might be surprised at how much they intersect with yogic thought! We'll prepare for our weekend by discussing practices and rituals that you can use to strengthen your connection to the natural world. On Saturday we'll meet near the Mohonk Mountain house to do a yoga class in the fields (with a million dollar view! ), followed by a hike up the epic Bonticou Crag trail. This is the best bang-for-your-buck trail in the Hudson Valley! You won't believe the views from the top. Then on Sunday we'll head to Vernooy Kill Falls where we'll do a moderate hike up the mountain to the gorgeous waterfalls where you can swim and lounge on the rocks. 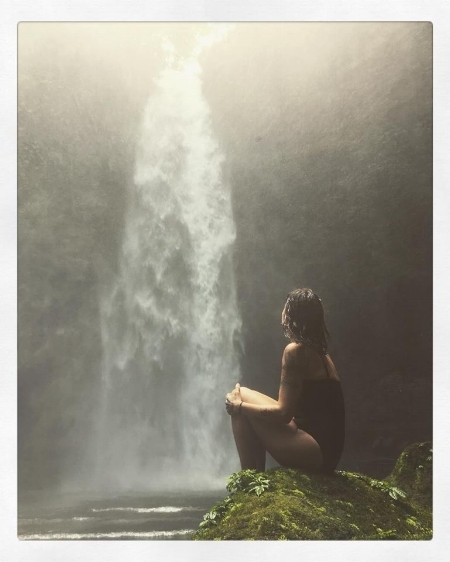 When we reach the falls, Kelly will tell you a story about a goddess who turned into a waterfall! Workshop = $250. This program is part of the 300 advanced teacher training program, but is open to all. Click here to register and go to our workshops page.